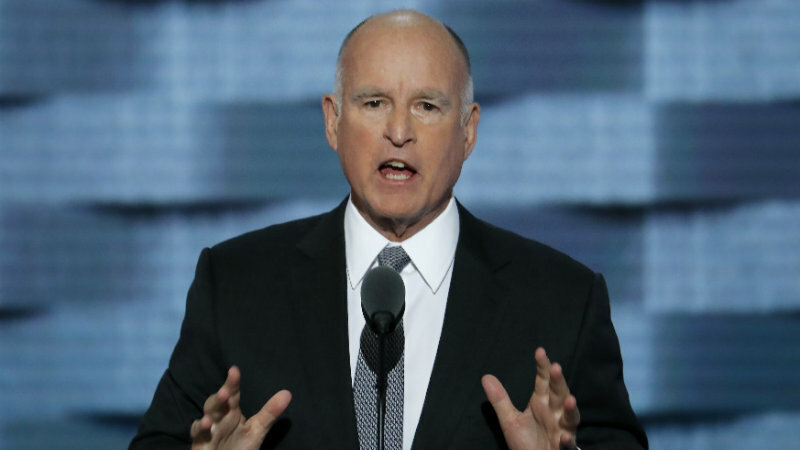 By Chris Nichols on Tuesday, May 30th, 2017 at 5:13 p.m.
A conservative news website with a penchant for phony claims recently alleged California Gov. Jerry Brown was "caught in the middle" of a huge corruption probe. The April 17, 2017 headline on consjournal.com read "CA Gov. Jerry Brown Caught in the Middle of a $60 Billion Corruption Investigation." Just below the headline is a giant, blaring graphic reading "BREAKING NEWS." If correct, this would be a seismic story across California and the nation. We set out to see if there’s even a hint of truth in this claim. The article cites news reports in the Sacramento Bee and Los Angeles Times that detail a very real investigation Brown ordered into the Board of Equalization. The governor asked state prosecutors in April to examine claims that employees of the state tax agency misused state resources. The agency is headed by a five-person independent board elected by the public. The governor’s call for action followed an audit by his administration that uncovered mismanagement in the tax agency, which is responsible for collecting $60 billion in taxes annually. Nothing, however, in the consjournal.com article or the Bee or the Times suggest that Brown is a subject of that investigation as the headline strongly implies. We asked consjournal.com for evidence Brown was ‘caught in the middle’ of the probe. A representative emailed a link to an article by Breitbart.com, another conservative website, that summarizes the governor’s call for an investigation, but says nothing about Brown being a subject of it. The headline also caught the attention of the fact-checking website Snopes.com, which gave the claim its most severe rating, False. It added "the story didn’t stand up to the barest of scrutiny." The website’s claim about the governor is comparable to other ridiculous claims on consjournal.com. In October 2015, the website published an article with a reckless headline saying "BREAKING: Illegal Aliens In California Able To VOTE, New Bill Just Signed." It referred to Brown’s signing of the state’s New Motor Voter Law that registers eligible citizens to vote when they obtain or renew their driver’s license. There is a separate process that allows people in the country illegally to obtain a California driver’s license. Those individuals are not given the option to register to vote. "We’ve built the protocols and the firewalls to not register people that aren’t eligible," Alex Padilla, the state’s top elections official told the Los Angeles Times in 2015. "We’re going to keep those firewalls in place." In March 2016, the website also published a misleading headline saying "California Gov. Jerry Brown Says If Trump Is Elected He Will Build A Wall Around The State." Several lines into the article, it notes Brown added: "By the way that is a joke. We don’t like walls, we like bridges." The conservative website consjournal.com recently claimed in a headline that California Gov. Jerry Brown was "Caught in the Middle of a $60 Billion Corruption Investigation." In reality, Brown ordered the investigation in question. There’s no evidence in the corresponding story or in any articles by outlets that have covered the investigation in-depth to show the governor is in any way a subject of the probe. This isn’t the website’s first headline to mangle the truth about Brown and his administration. 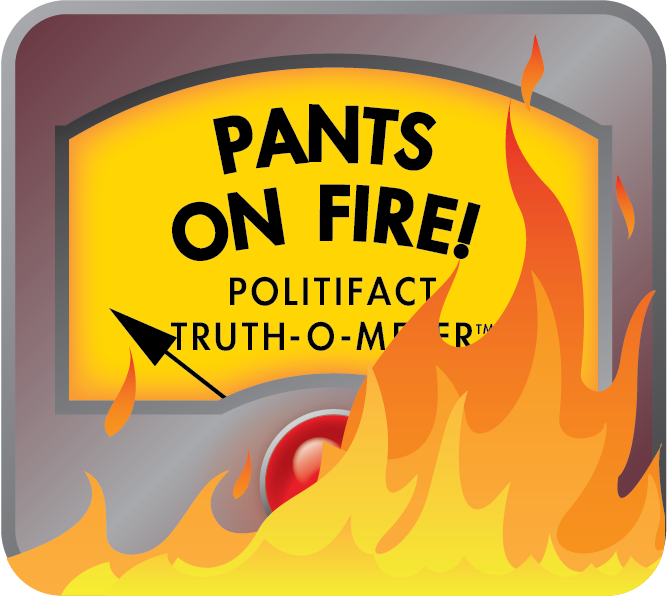 We rate its claim Pants On Fire. Published: Tuesday, May 30th, 2017 at 5:13 p.m.